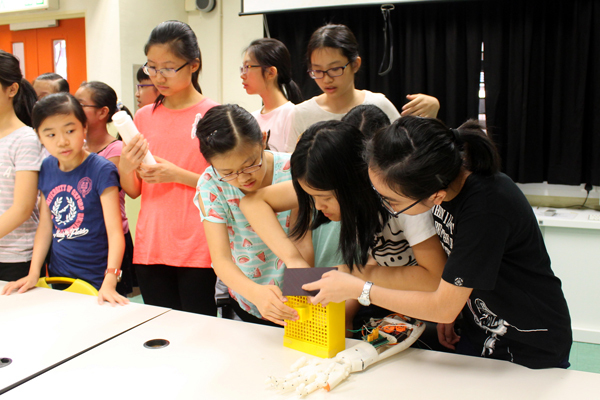 From 16th to 28th July, the new Form one students (2018-2019) attended a Bridging Course at SPCS for a smooth transition from primary to secondary learning. 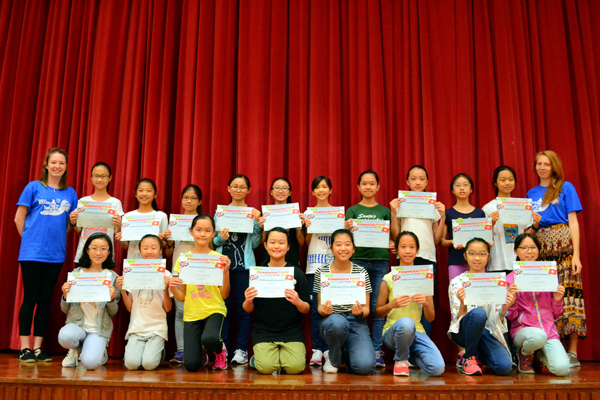 They attended an English Immersion Course which was organized by the Wofoo Social Enterprise and supported by HKSAR Education Bureau. 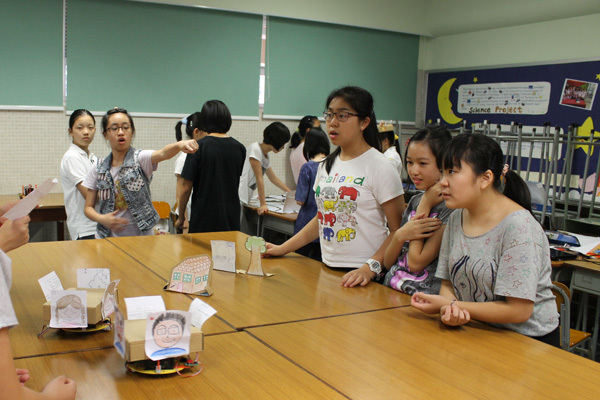 This programme emphasized spoken English through an interactive and fun-packed activity-based curriculum. 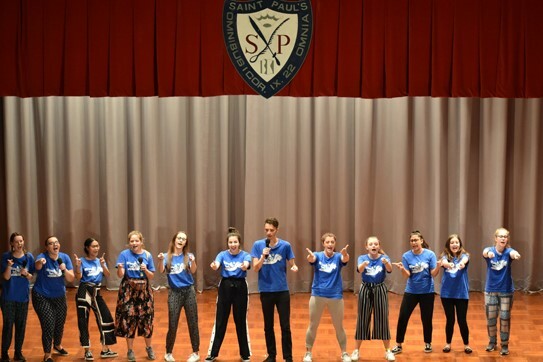 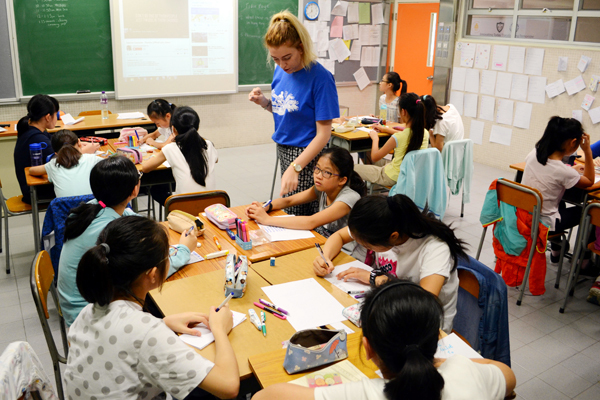 Students were taught by a team of teachers from UK university and senior form students from the Big Sister Scheme who took on roles as teaching assistants. 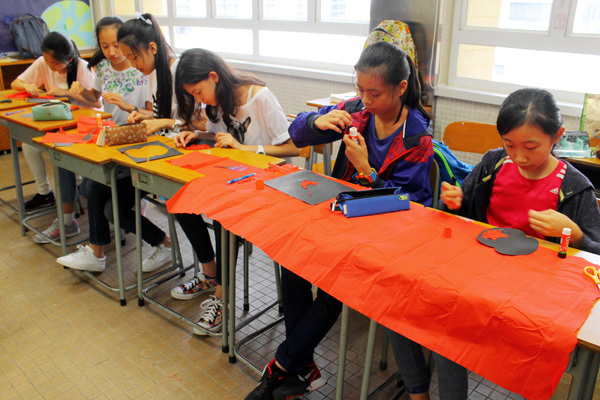 Daily activities included art and craft work, sign language learning and sports activities were held. 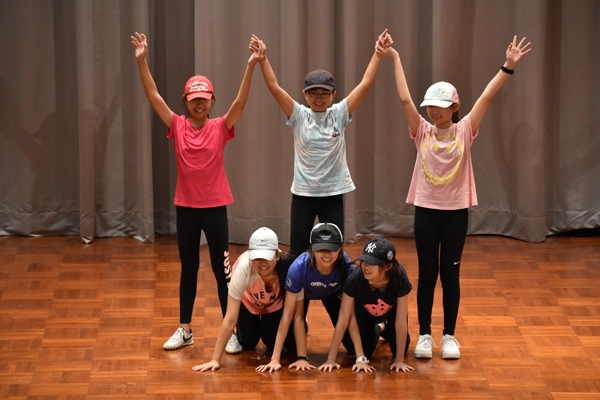 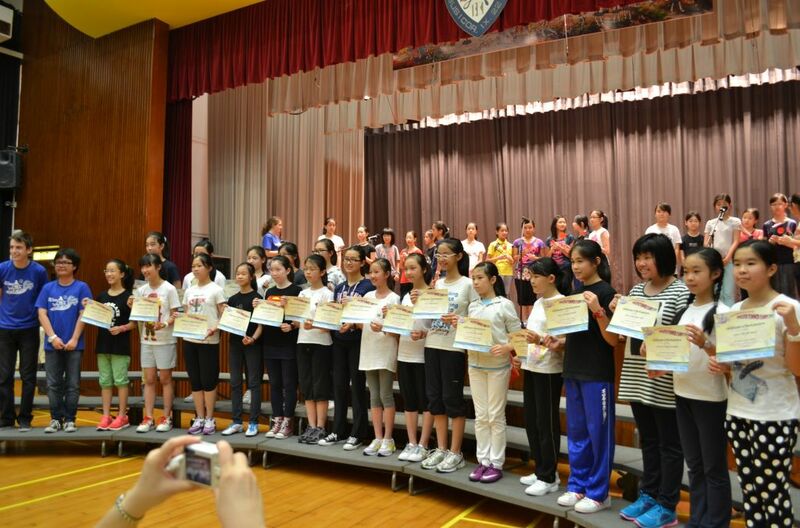 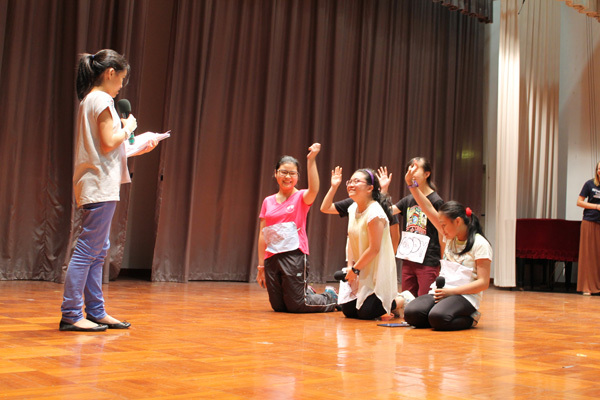 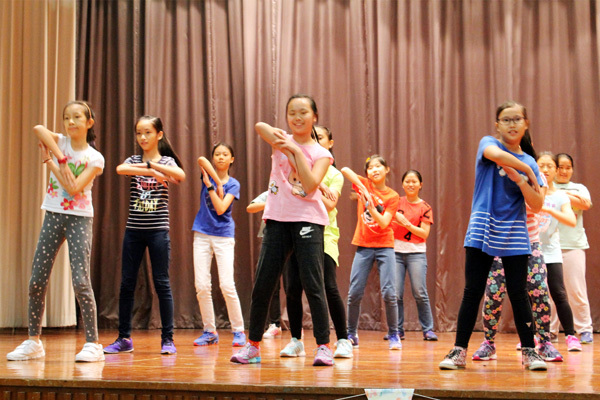 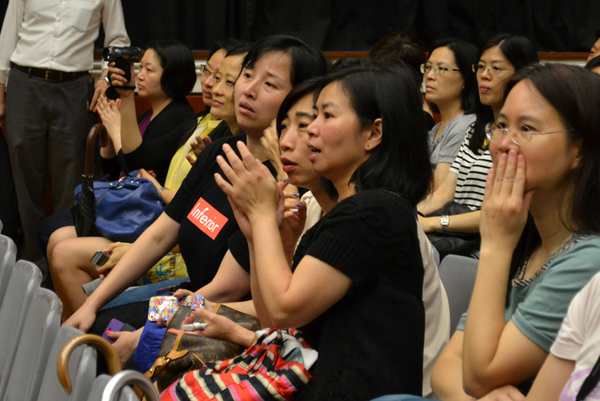 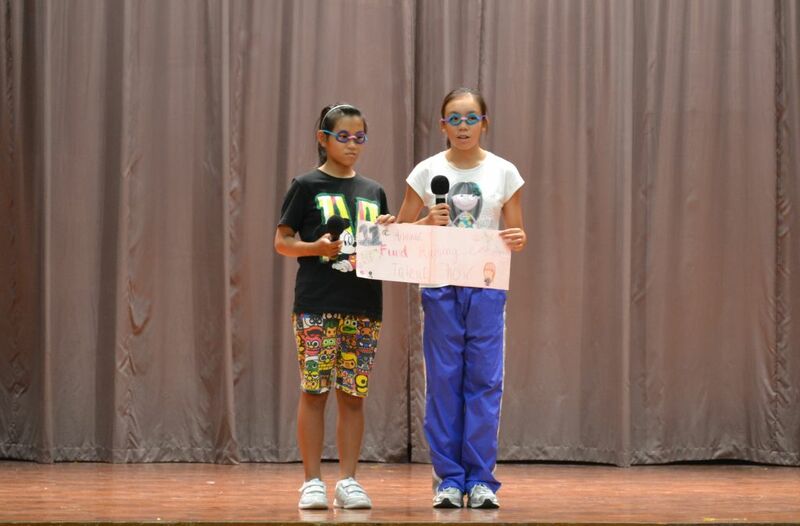 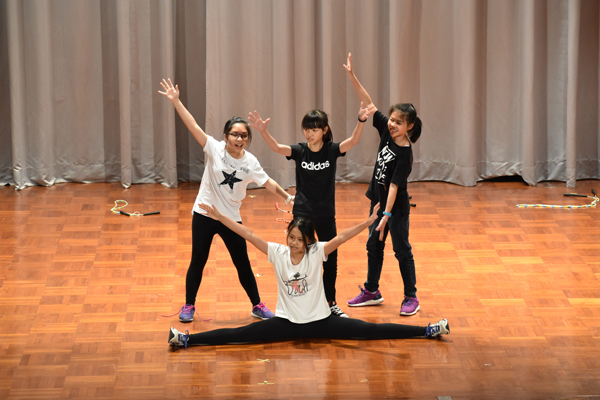 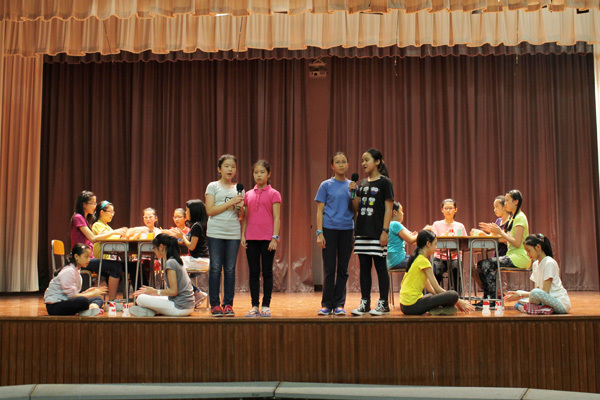 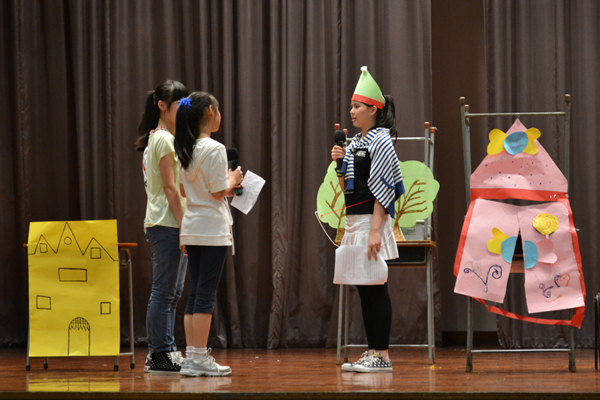 Events like fashion show and talent quest were also run. 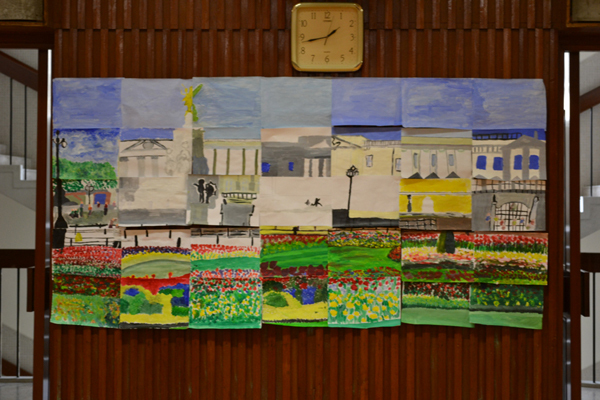 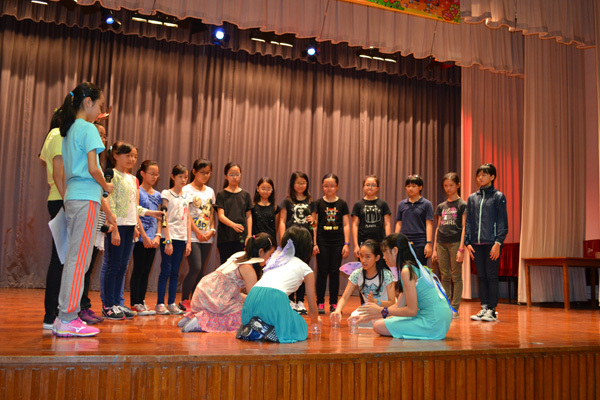 Students thoroughly enjoyed the programme. 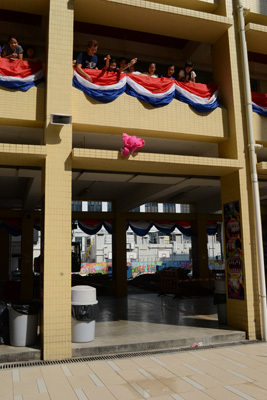 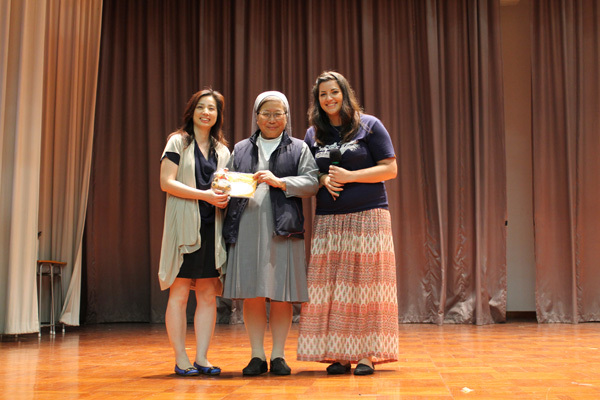 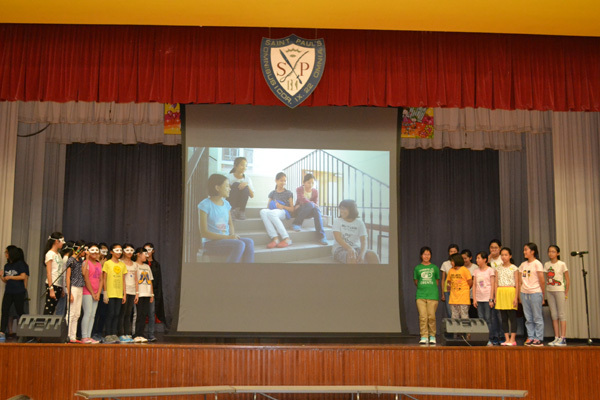 After these two weeks, students made new friends and got familiar with the school environment and school life at SPCS. 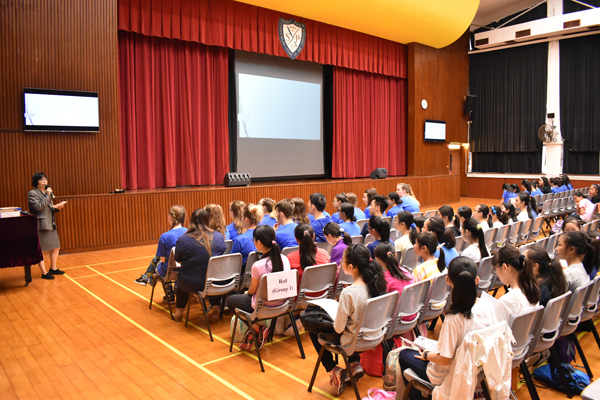 From 3 July - 28 July 2017, the new Form one students (2017-2018) attended a Bridging Course at SPCS for a smooth transition from primary to secondary school learning. 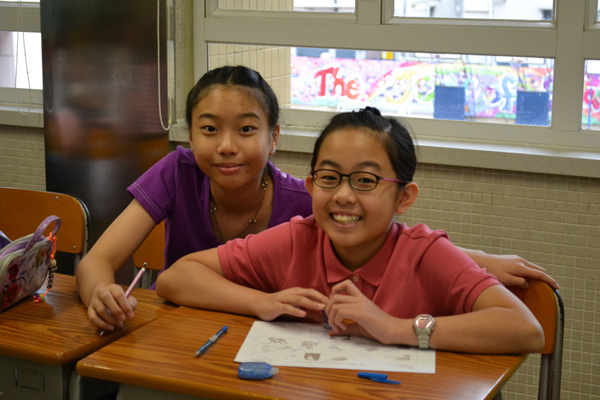 Students took Chinese/French, English, Mathematics, ICT lessons in the first and the last week. 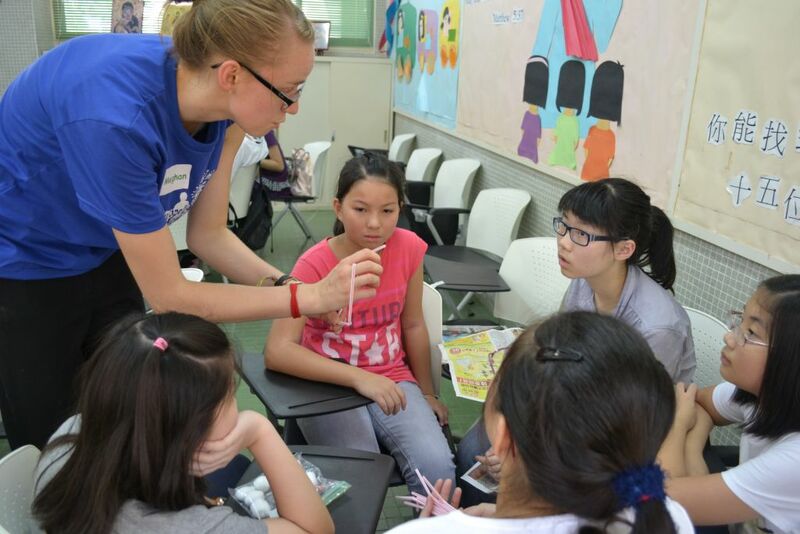 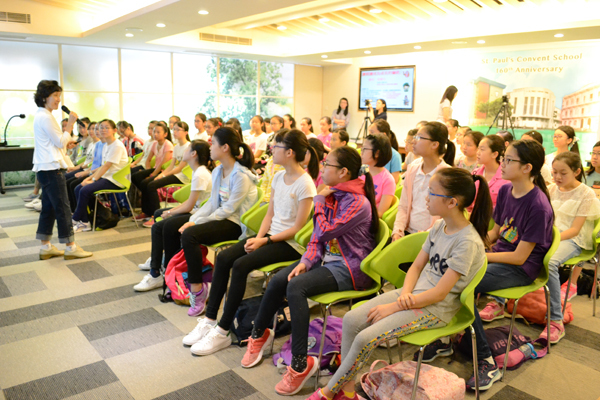 In the second and third week, they attended an English Immersion Course organized by Wofoo Social Enterprises and supported by the HKSAR Education Bureau. 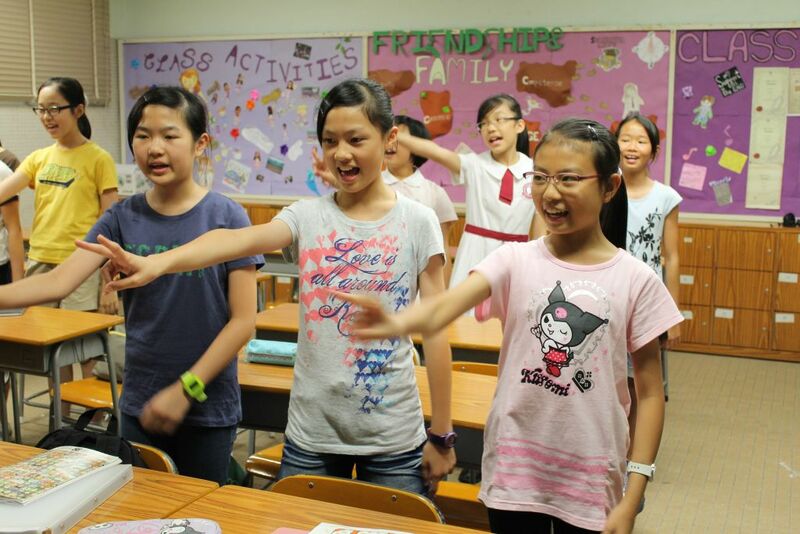 This programme emphasized spoken English through an interactive and fun-packed activity based curriculum. 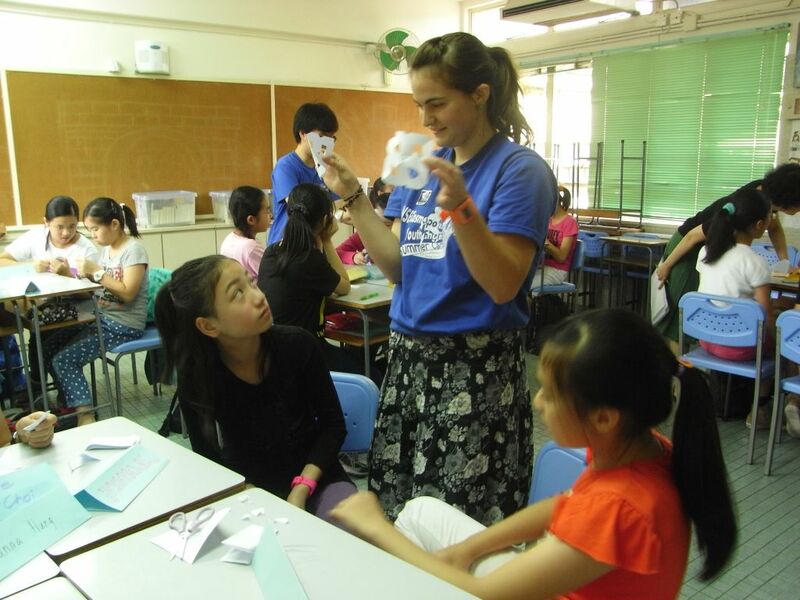 Each class was taught by a UK teacher through learning activities including arts and crafts, dancing, singing, treasure hunt, a quiz/game show etc. 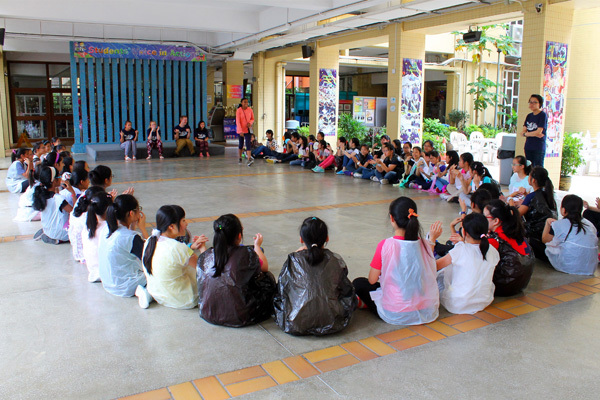 Over the weeks, our new Paulinians made friends with each other and became familiar with the school environment and life at SPCS. 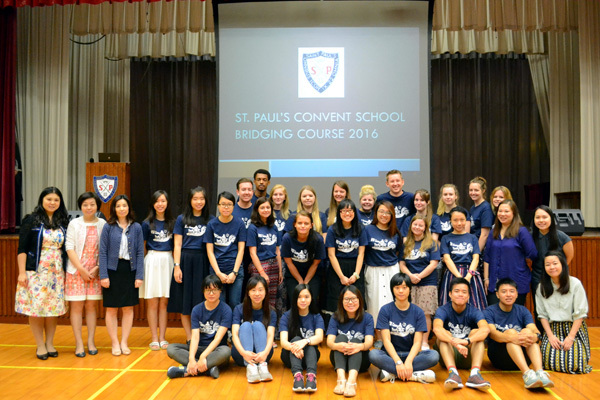 To prepare the new Form one students (2016-17) for a smooth transition from the primary to secondary school learning, the school has organized a Bridging Course from 11 -22 July 2016. 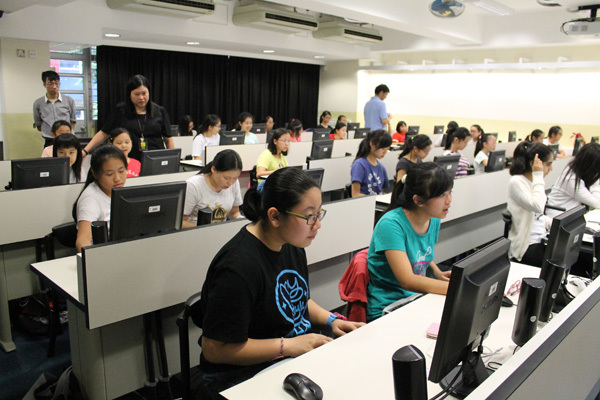 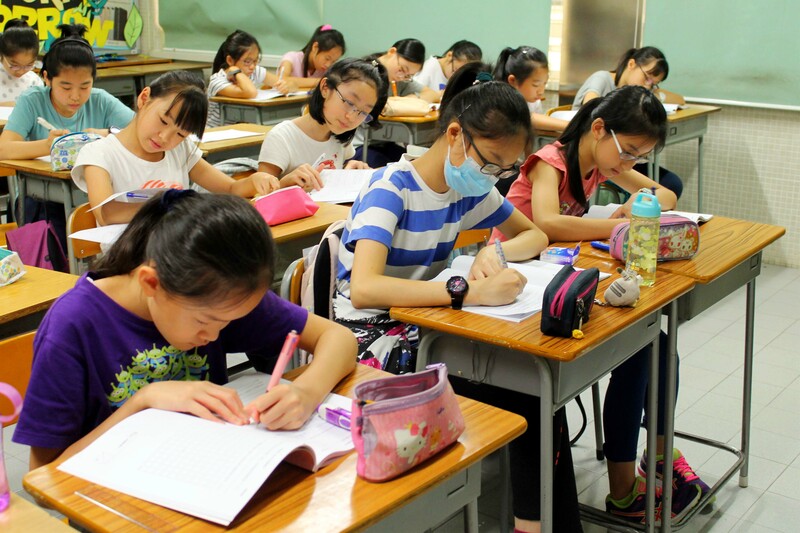 In first week, students took Chinese, Mathematics and ICT lessons. 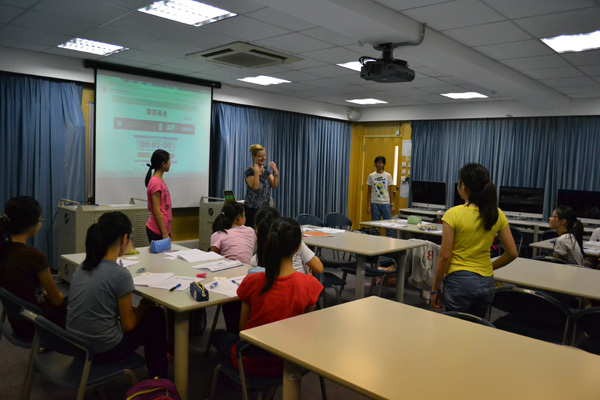 In the second week, they attended an English Immersion Course organized by the Wofoo Social Enterprises and supported by HKSAR Education Bureau. 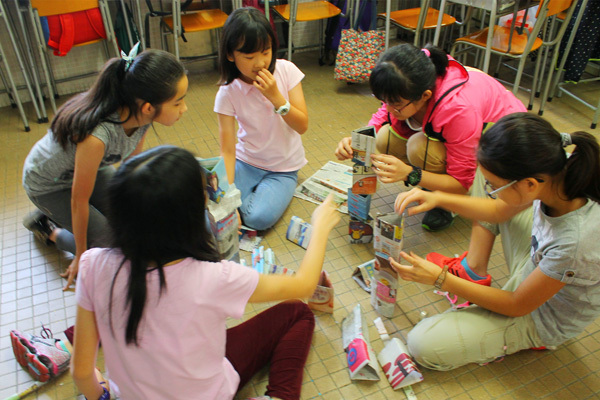 This programme emphasized spoken English through an interactive and fun-packed activity-based curriculum. 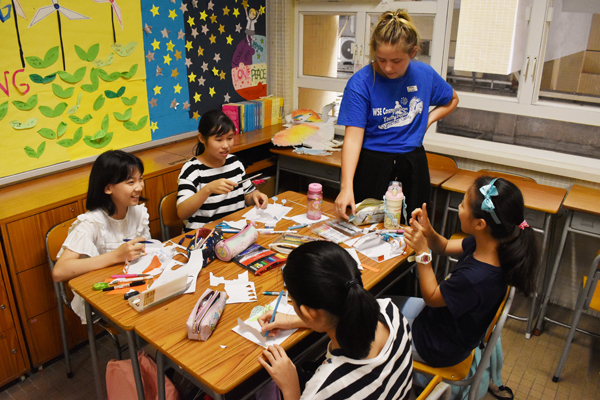 Each class was taught by a UK teacher through different activities including arts and crafts, fashion walk, treasure hunt, a quiz/game show, mini-Olympics and etc. 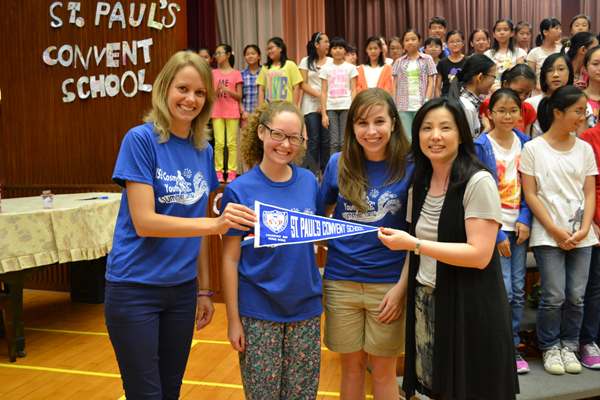 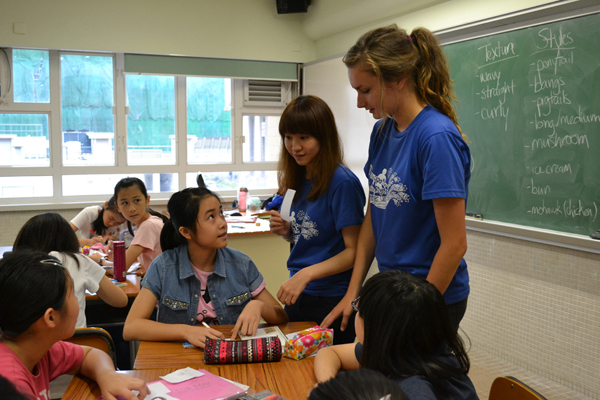 After these 2 weeks, students made new friends and got familiar with the school environment and school life at SPCS. 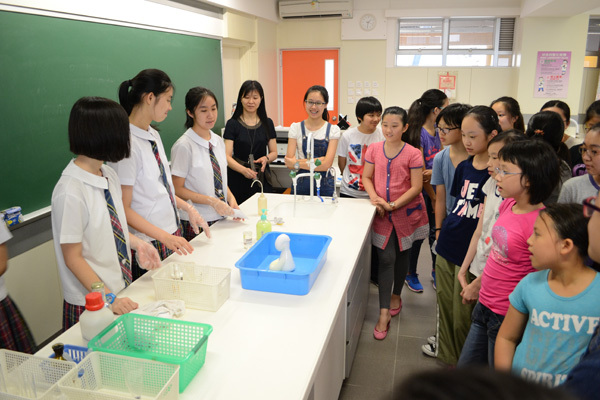 To prepare the new Form one students (2015-16) for a smooth transition from primary to secondary in September 2015, the school has provided them with a Bridging Course from 13 July - 25 July 2015. 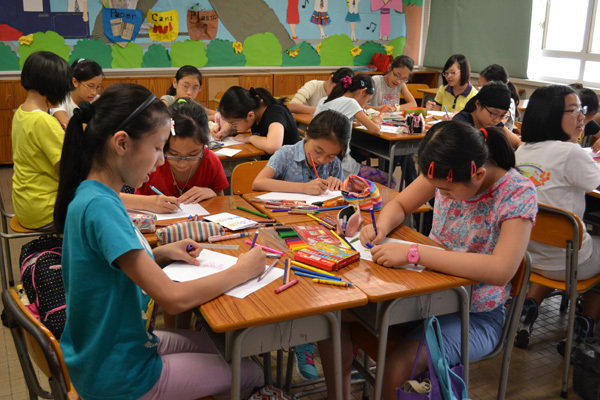 In first week, students took Chinese, Mathematics and ICT lessons. 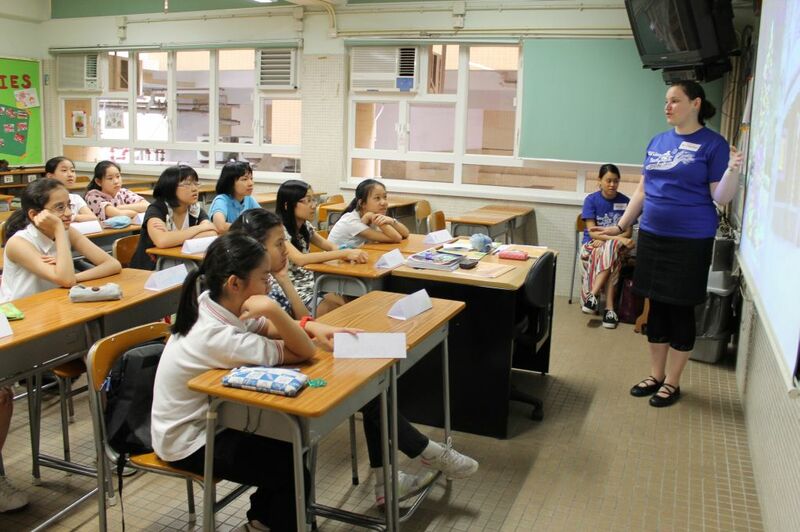 In the second week, they attended an English Immersion Course organized by the Wofoo Social Enterprises and supported by HKSAR Education Bureau, British Council and Hong Kong Baptist University. 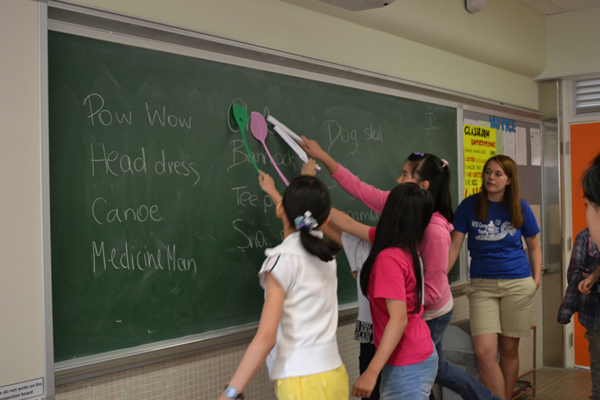 This programme emphasized spoken English through an interactive and fun-packed activity-based curriculum. 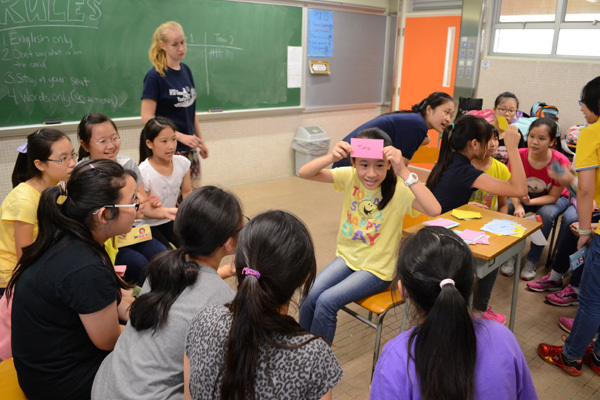 Each class was taught by a Canadian teacher through a variety of activities like arts and crafts, dancing, singing, a treasure hunt, a quiz/game show, mini-Olympics and etc. 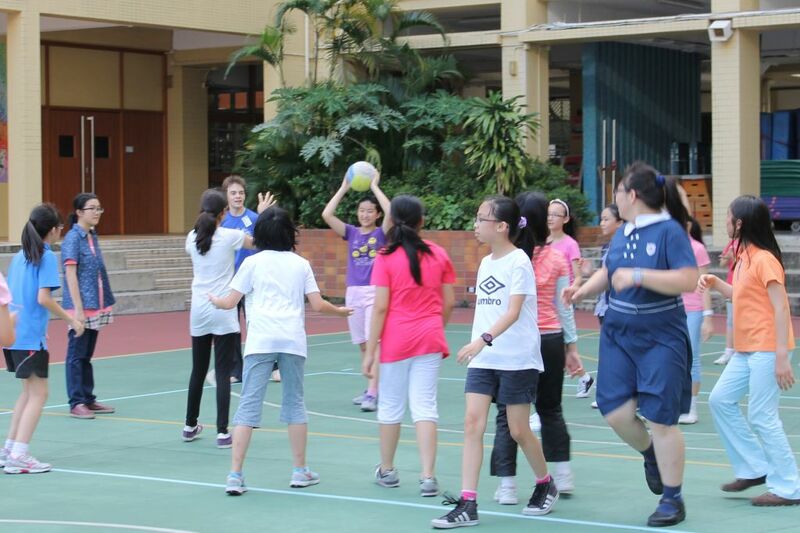 After these 2 weeks, students made new friends and got familiar with the school environment and school life at SPCS. 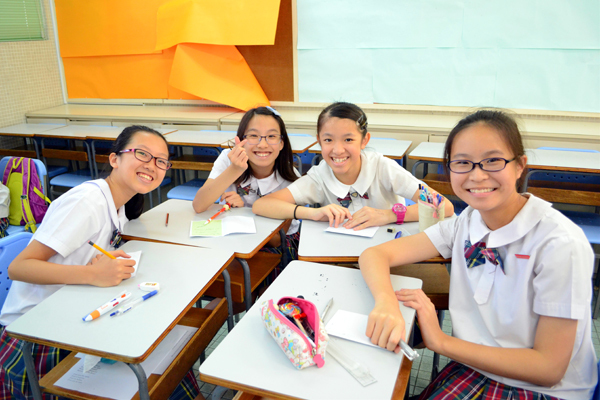 To prepare the new Form one students (2014-15) for a smooth transition from primary to secondary in September 2014, the school has provided them with a Bridging Course from 7 July - 25 July 2014. 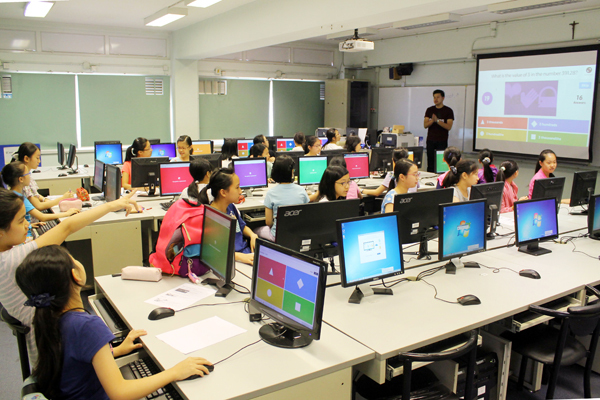 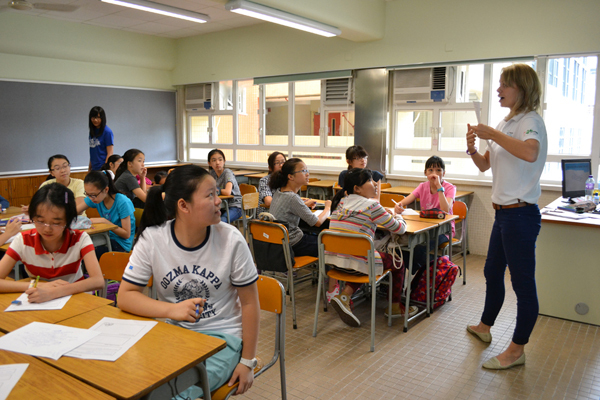 During the course, students took English, Chinese, Mathematics and ICT lessons. 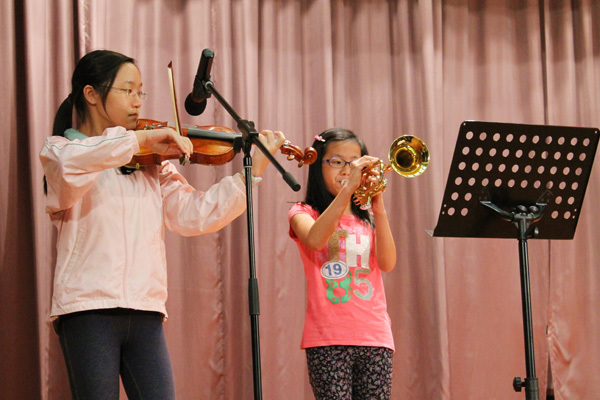 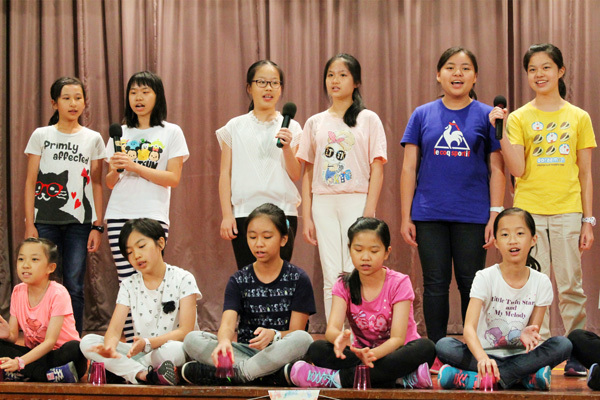 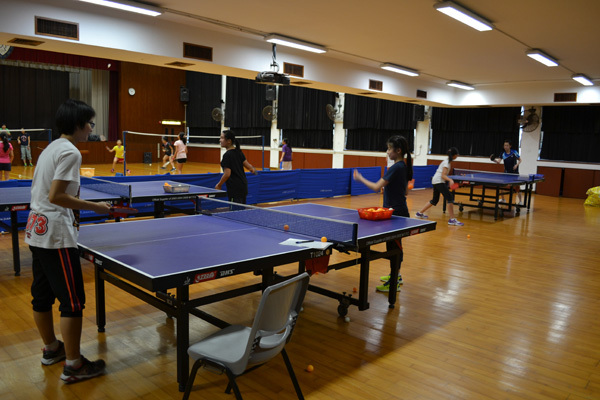 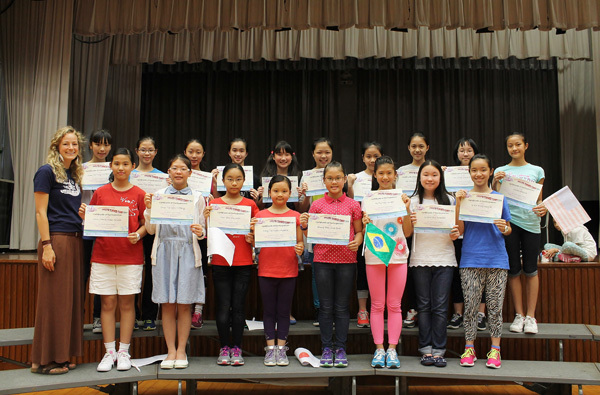 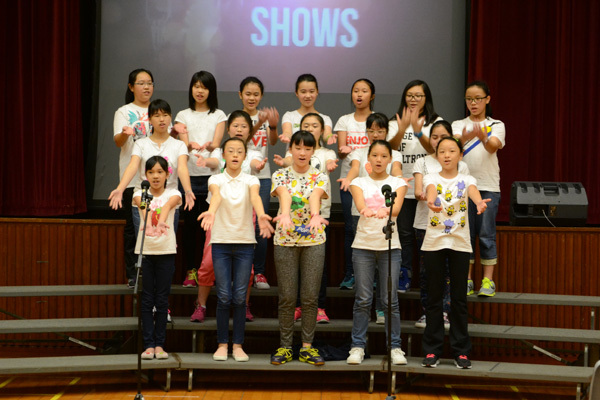 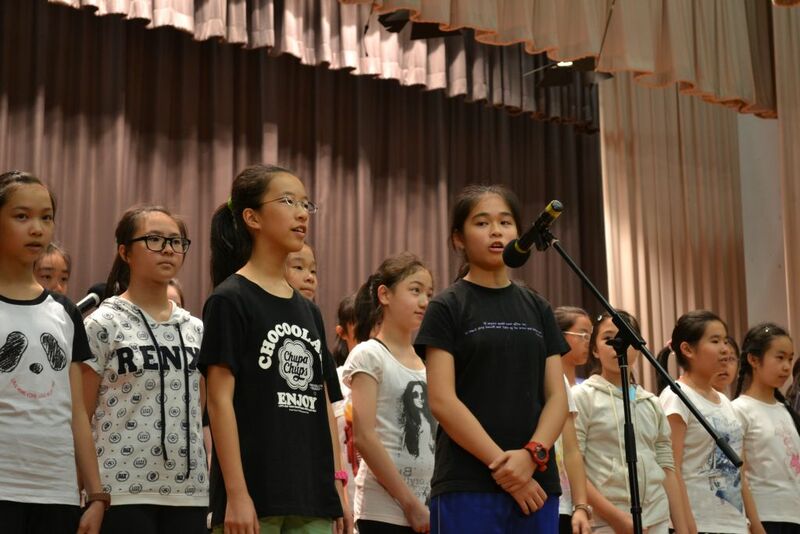 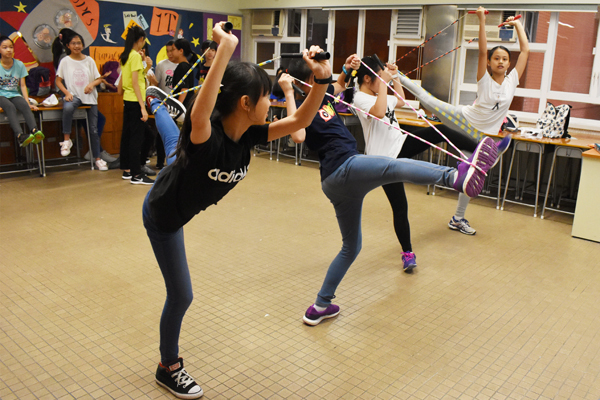 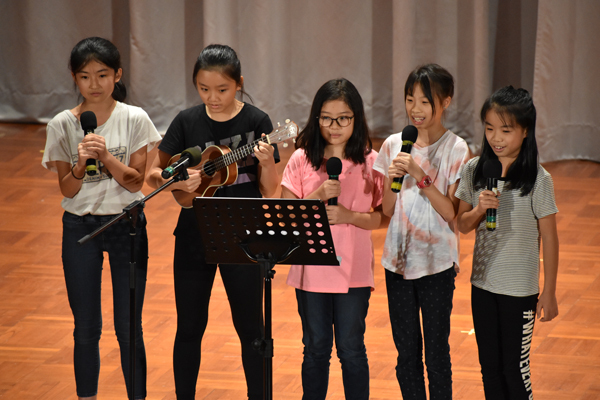 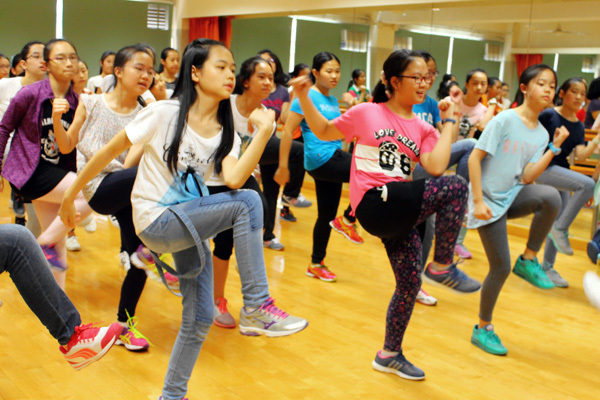 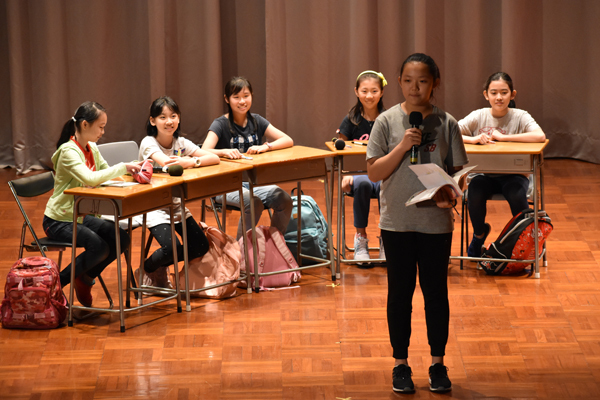 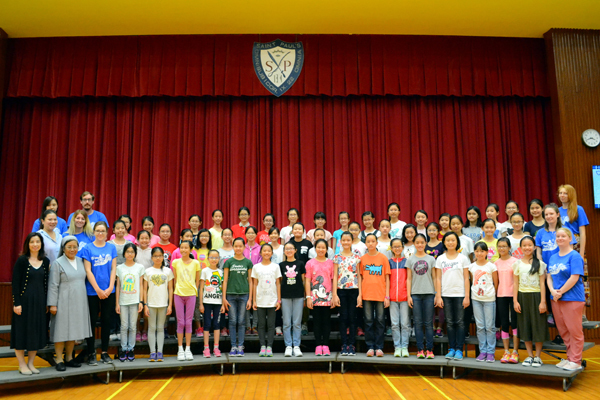 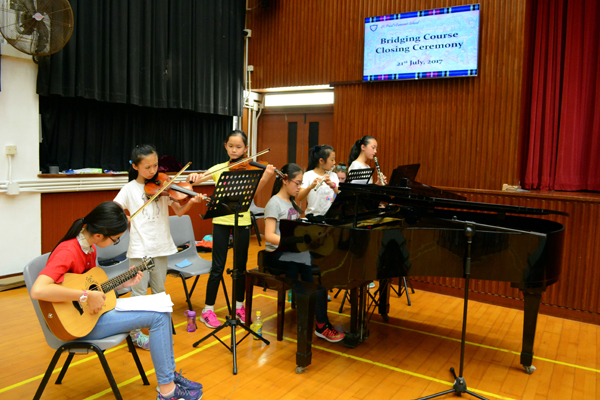 They also joined an Interest Class like Apps Development, Symphony Orchestra, Choir, Performing Art, Robotics, Sports (Athletics/Badminton/Table Tennis) or Visual Art, to develop their talents. 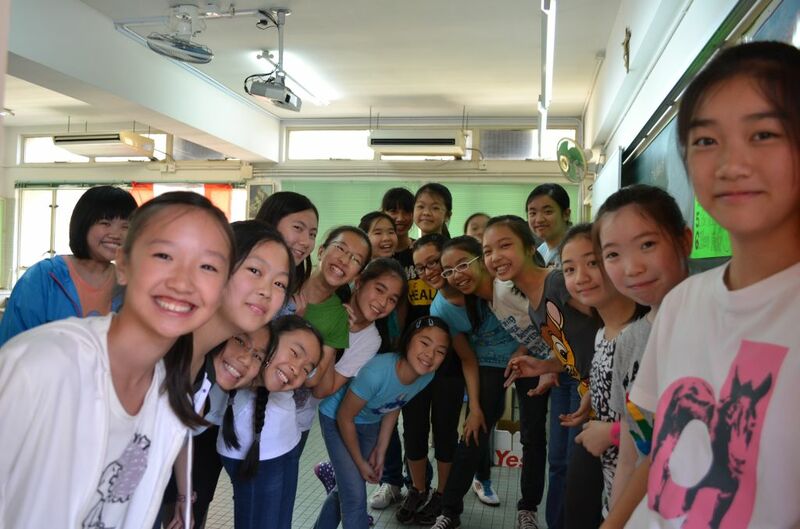 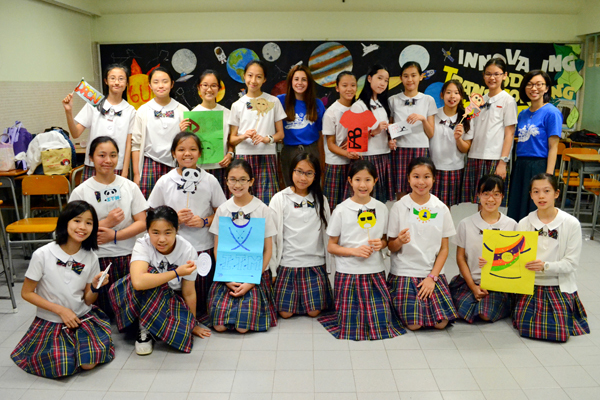 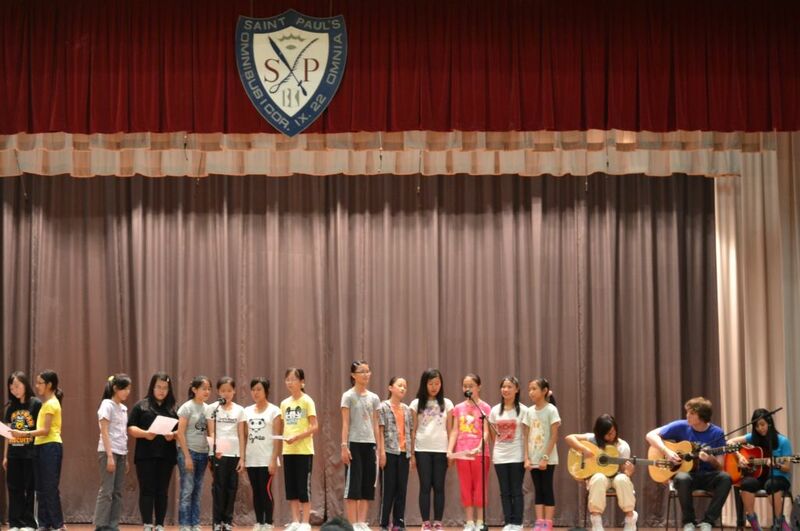 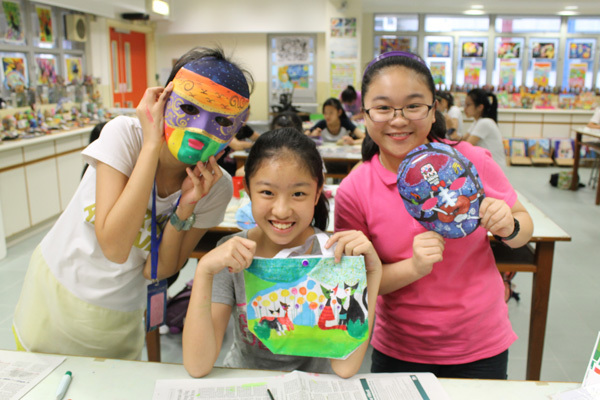 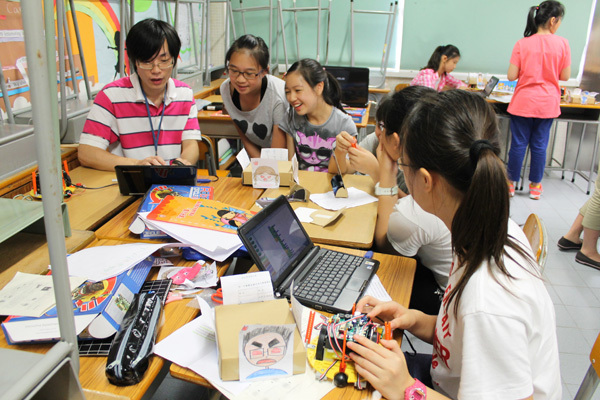 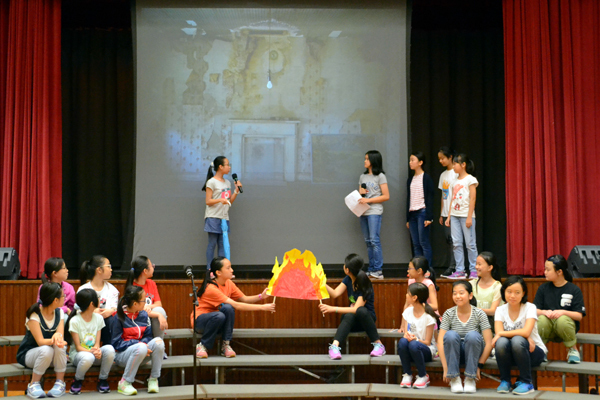 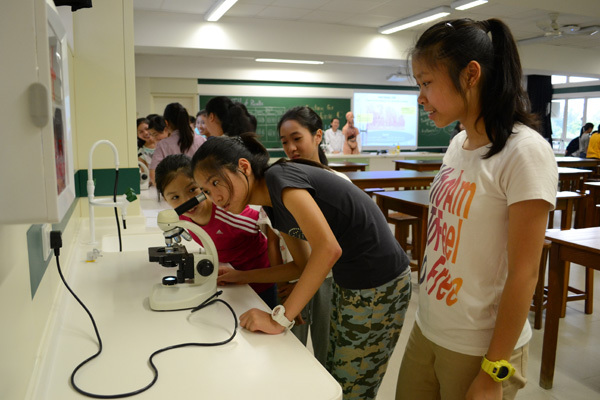 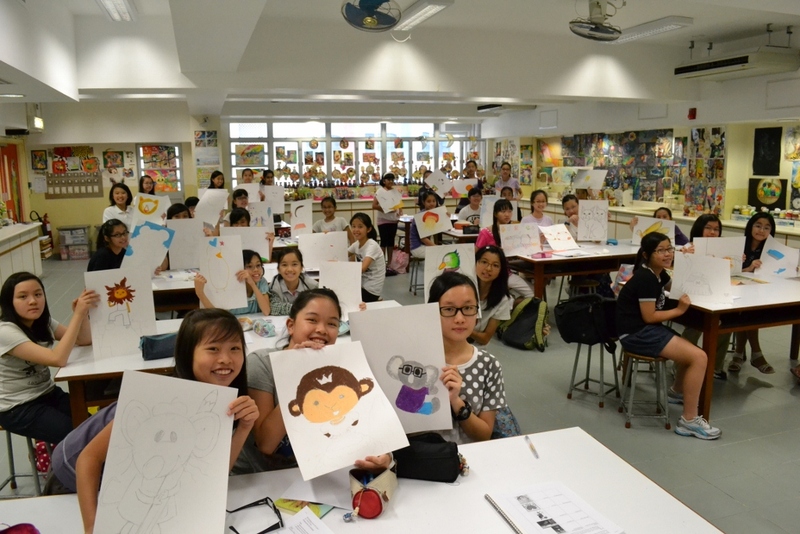 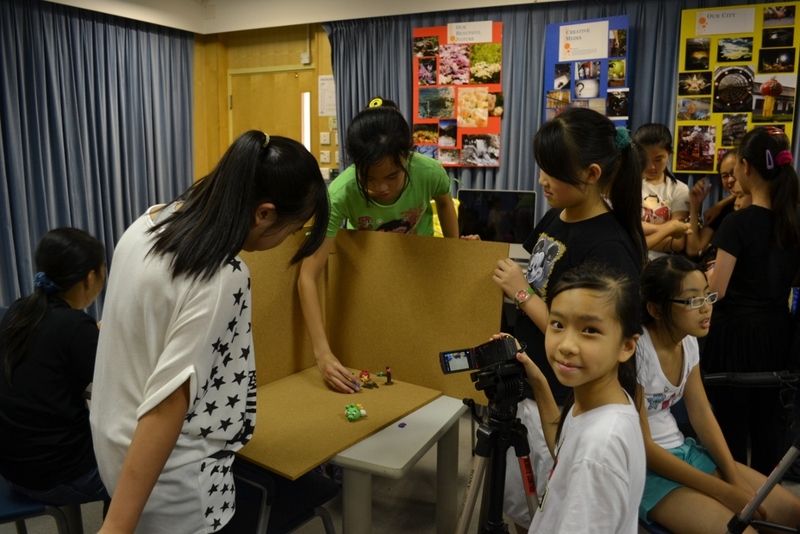 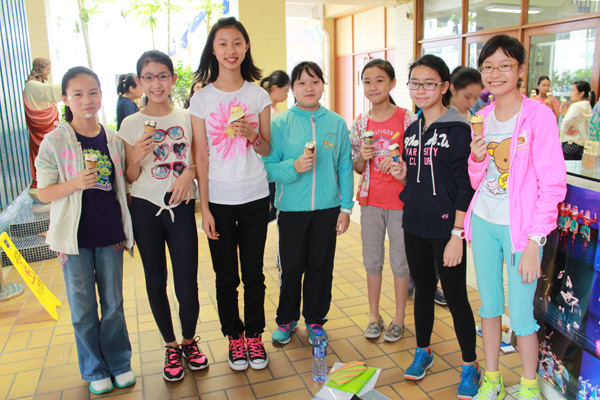 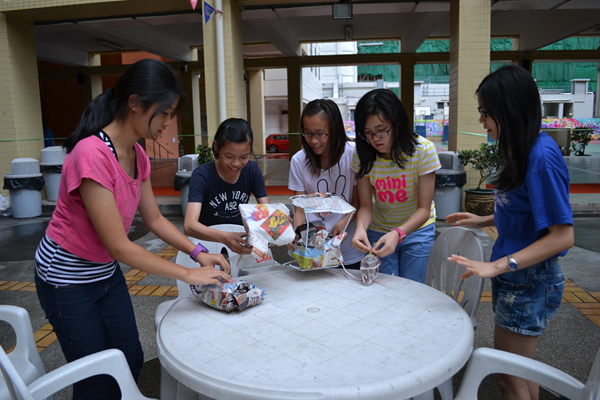 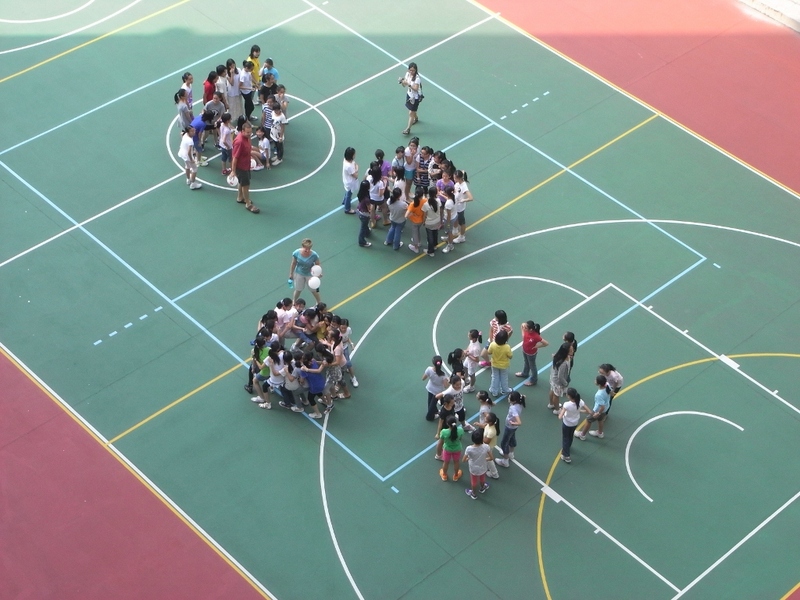 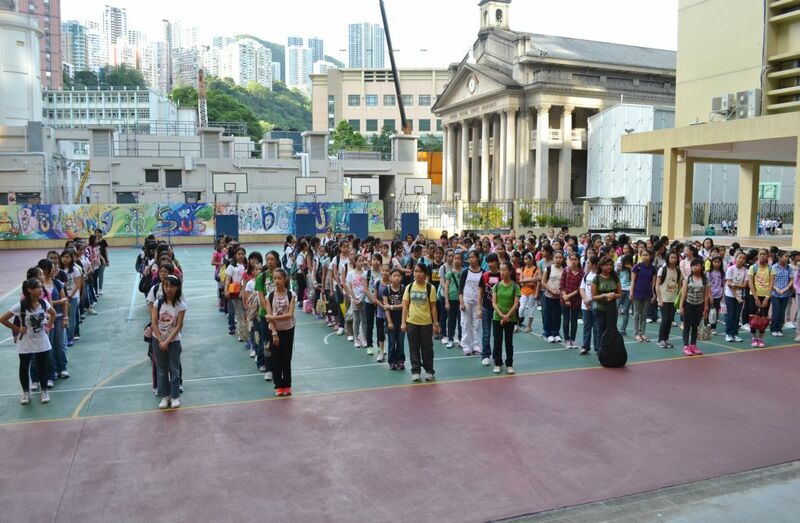 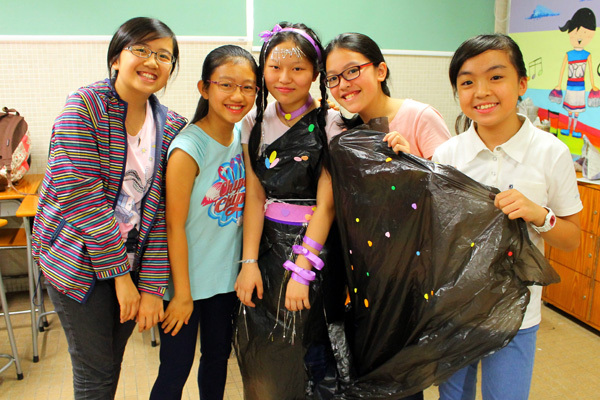 Over the 3 weeks, students made new friends and got familiar with the school environment and school life at SPCS. 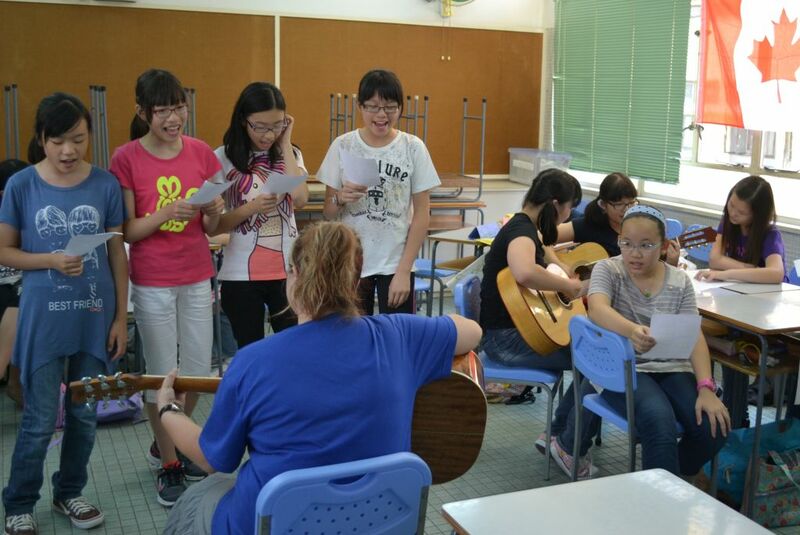 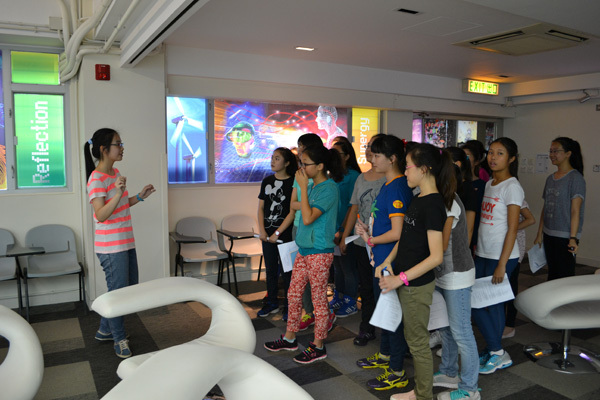 From 22 July - 26 July 2013, the new Form one students (2013-14) attended the Bridging Course organized by Wofoo Social Enterprises and supported by HKSAR Education Bureau, British Council and Hong Kong Baptist University at SPCS. 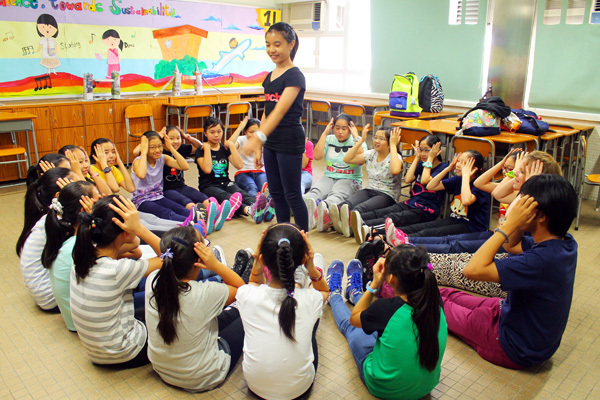 The programme aimed to provide students a fun-to-join learning experience and emphasizing spoken English through an interactive and fun-packed activity-based curriculum. 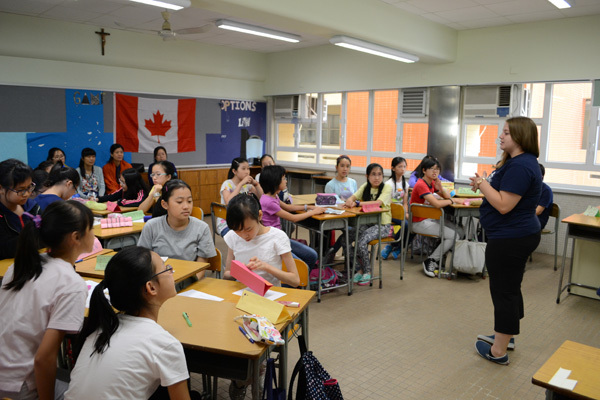 Lessons were conducted by a teaching team comprised of 16 teachers from UK and Canada universities plus 14 teaching assistants from local universities. 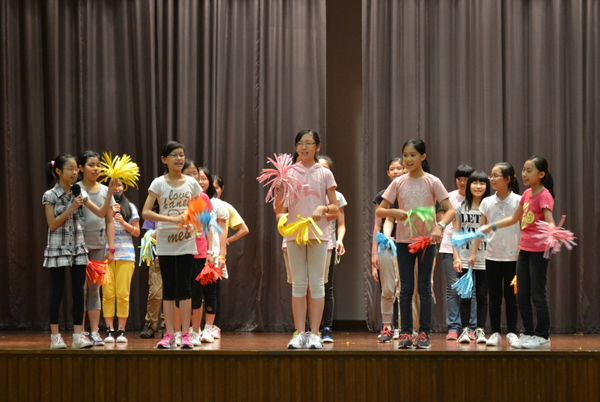 Daily activities and events included arts and crafts, dancing, singing, a treasure hunt, a fashion show, a quiz/game show, mini-Olympics, etc. 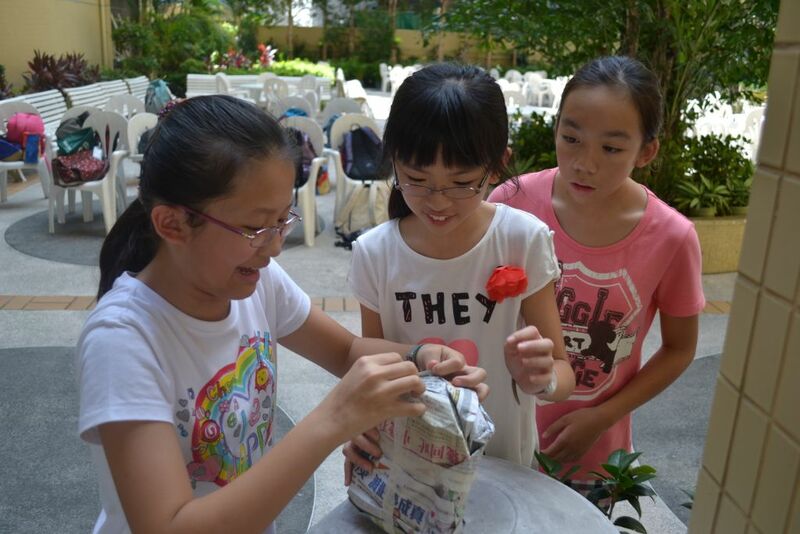 Over the week, students made new friends and got familiar with the school environment and school life at SPCS. 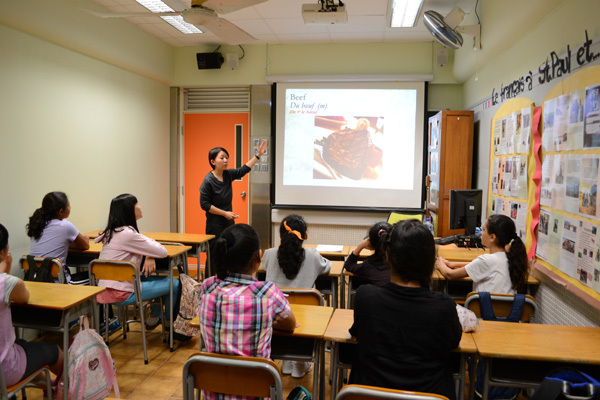 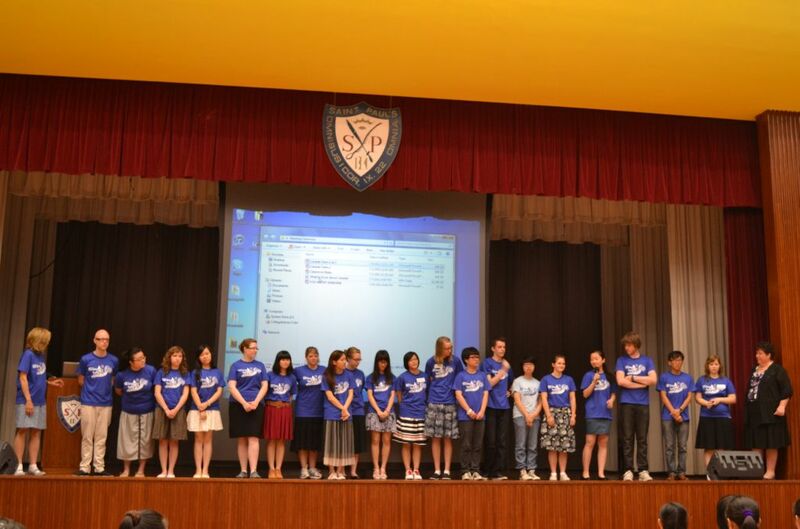 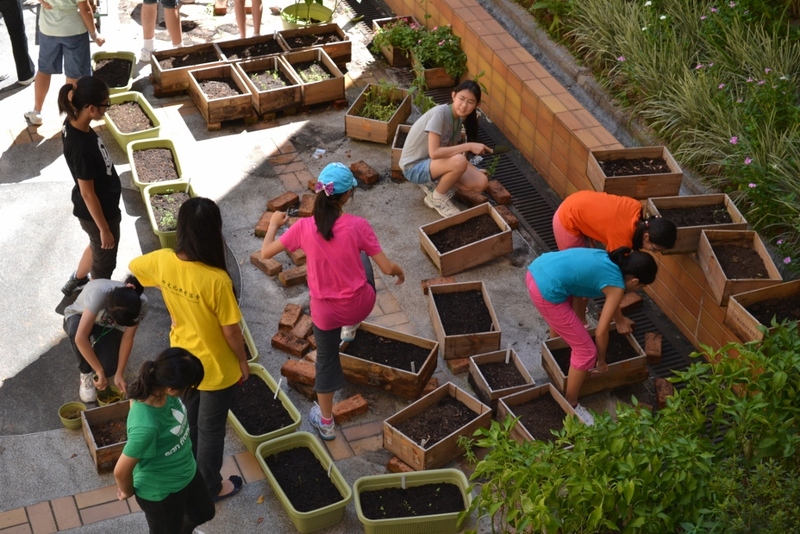 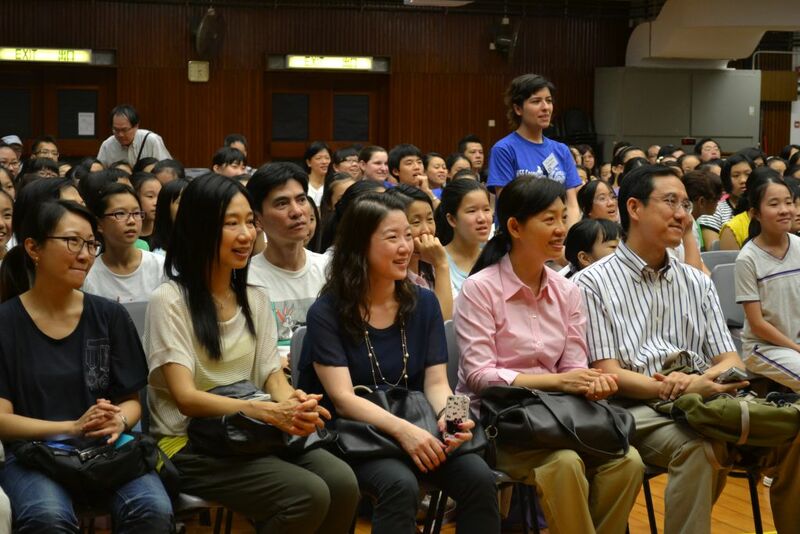 From 9 July - 13 July 2012, the new Form one (2012-13) students attended the Bridging Course organized by the Wofoo Social Enterprises and supported by HKSAR Education Bureau, British Council and Hong Kong Baptist University at SPCS. 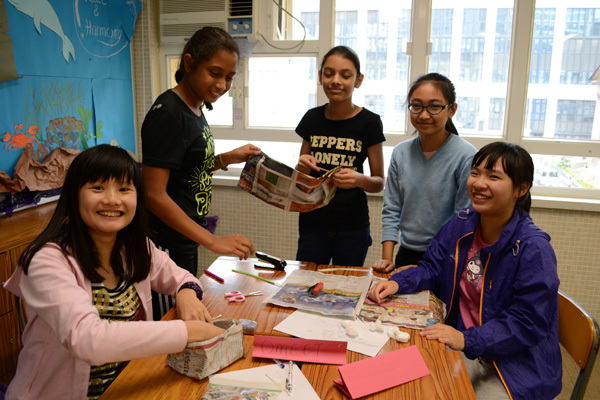 The programme provided students a fun-to-join learning experience and emphasizing spoken English through an interactive and fun-packed activity-based curriculum. 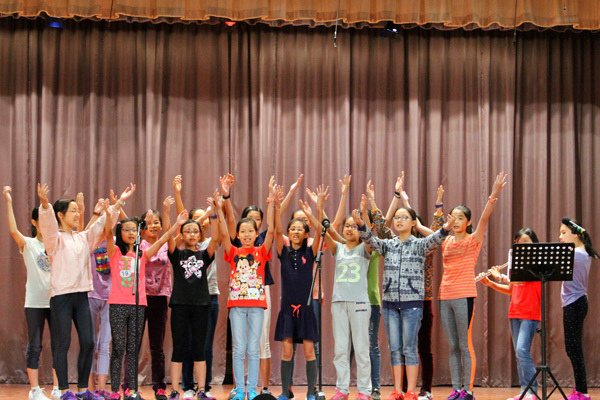 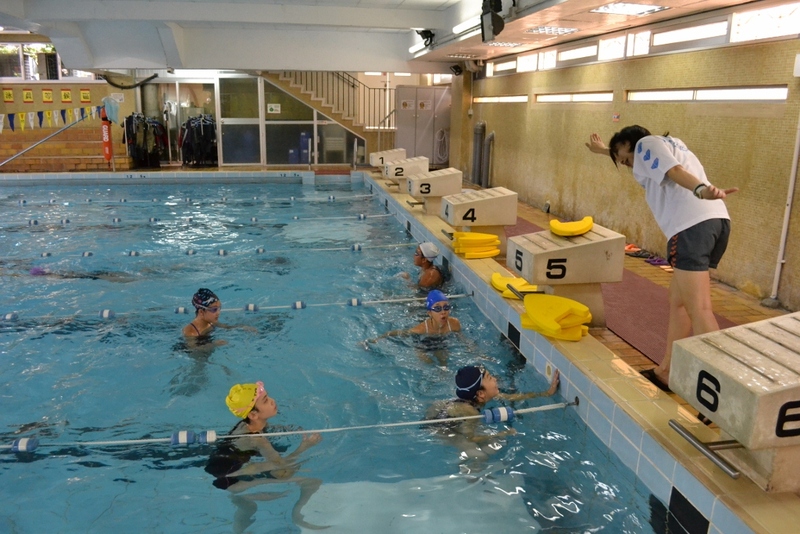 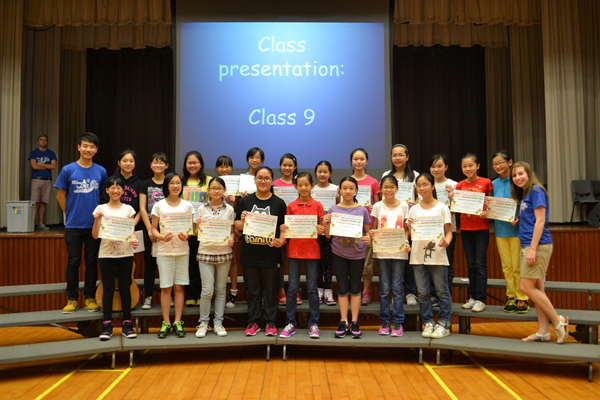 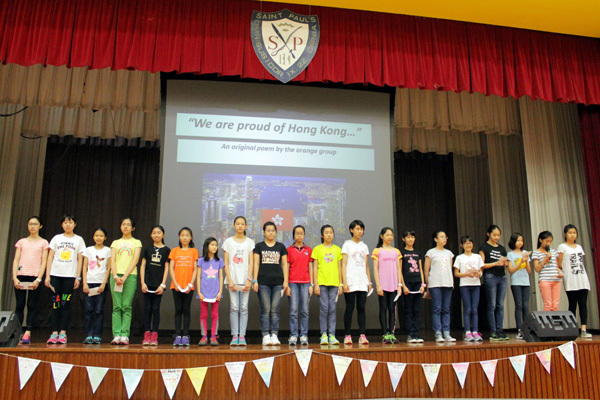 Students were divided into 12 classes of different colors and each class was taught by a Canadian teacher. 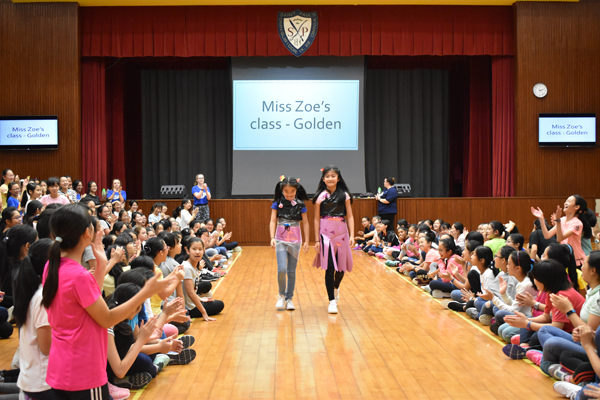 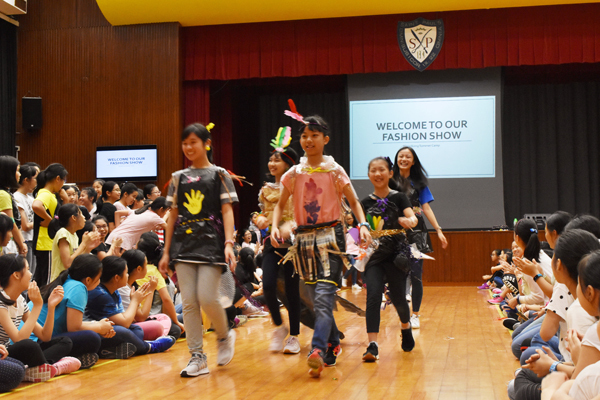 Students were taught through fun-filled materials while activities and events include arts and crafts, dancing, singing, a treasure hunt, a fashion show, a quiz/game show, mini-Olympics, etc. 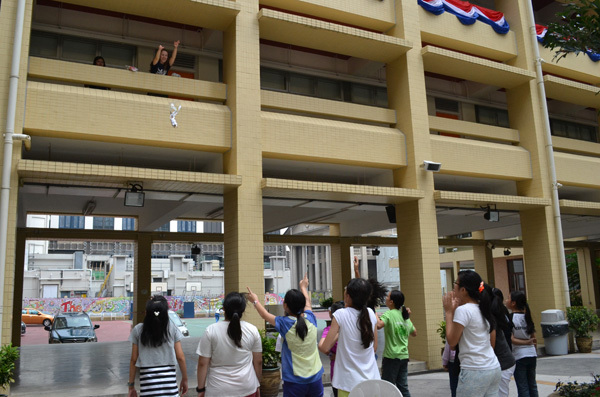 Over the week, students made new friends and got familiar with the school environment and the secondary school life at SPCS. 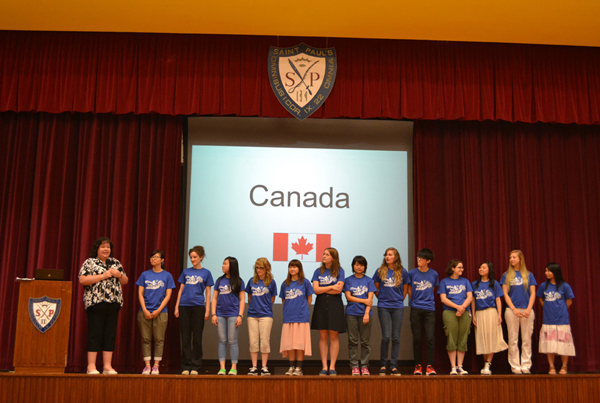 From 18 July - 29 July 2011, the new Form one (2011-12) students attended the Bridging Course organized by the Canada-China Culture & Education Association at SPCS. 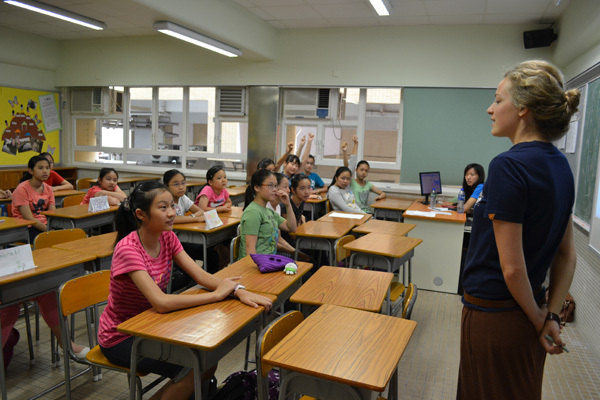 Students were divided into classes of colors - Red, Orange, Yellow, Green, Blue, Indigo and Violet and each class was coached by a Canadian teacher teaching English every morning. 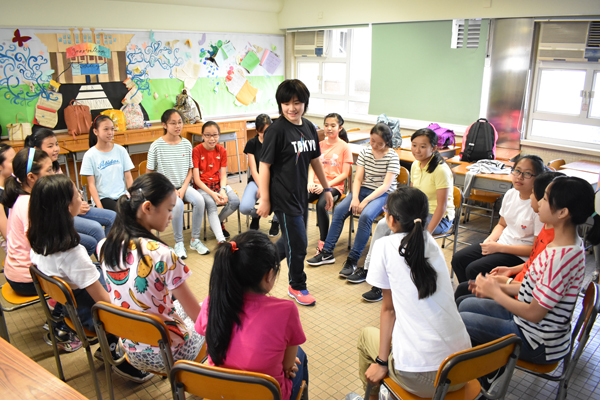 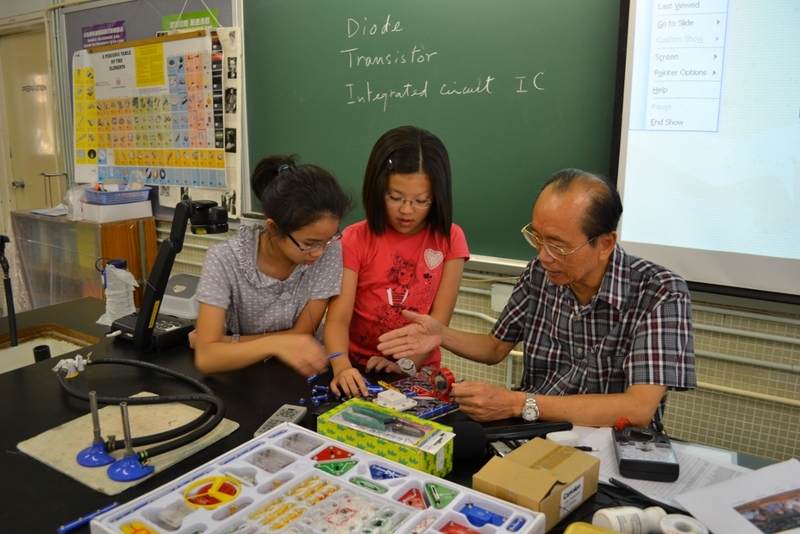 In the afternoon, they developed their interests and talents by joining different Interests Classes - Electronics for fun, French, Creative Media using Movie Maker, Organic Farming, Getting to know Shakespeare, Spanish, Swimming or Visual Arts. 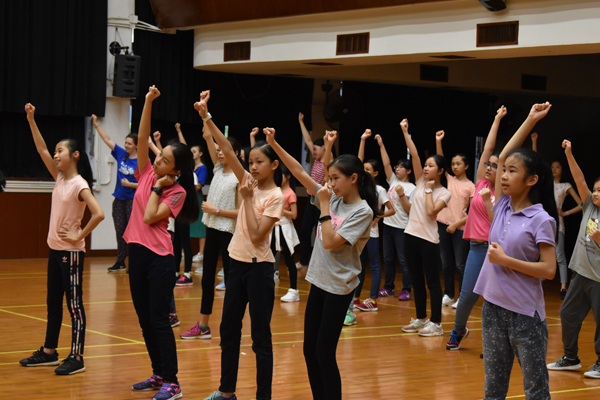 Over the 2 weeks, students made new friends and got familiar with the school environment and the secondary school life at SPCS.